The Portuguese Pointer is a gundog that was originally used to hunt with hawks before guns. Their primary prey is game birds and the ‘Perdigueiro’ in their Portuguese name translates to partridge. This breed will retrieve as well as point. 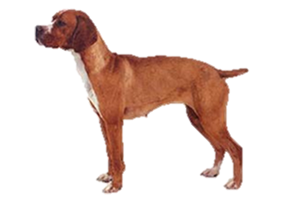 The Portuguese Pointer originated in Portugal and is believed to have descended from Spanish ancestors, possibly the extinct Podengo de Mastra. Records date it back to the 14th century, although some believe it is as old the 5th century. In the 1600s it was exported to England and may have been used in the development of the Pointer there. Is the Portuguese Pointer Right for You?